...... and provide a list of the registry errors found. After that you can choose to clean list items with selection or automatically repair them all. Qweas is providing links to Registry Easy 5.6 as a courtesy, and makes no representations regarding Registry Easy or any other applications or any information related thereto. Any questions, complaints or claims regarding this application Registry Easy 5.6 must be directed to the appropriate software vendor. 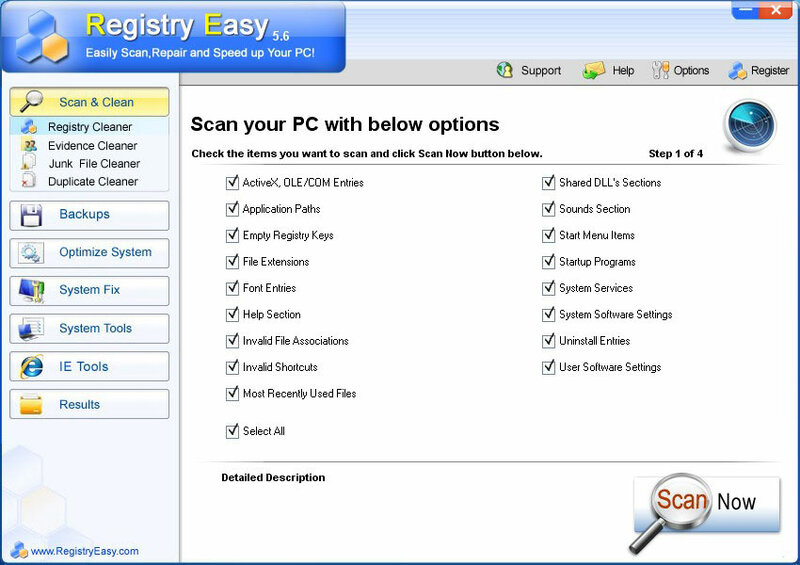 You may click the publisher link of Registry Easy on the top of this page to get more details about the vendor.